This house, built in the 1980's, was in dire need of an interior update to bring it into the 21st century. 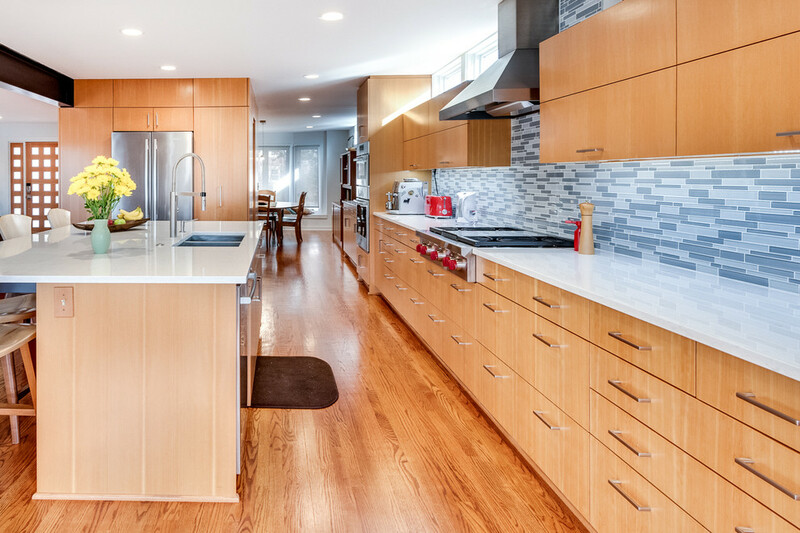 On the main floor, the walls between the kitchen, living and dining room were completely removed to create a totally modern, open-concept living arrangement featuring an exposed steel beam. 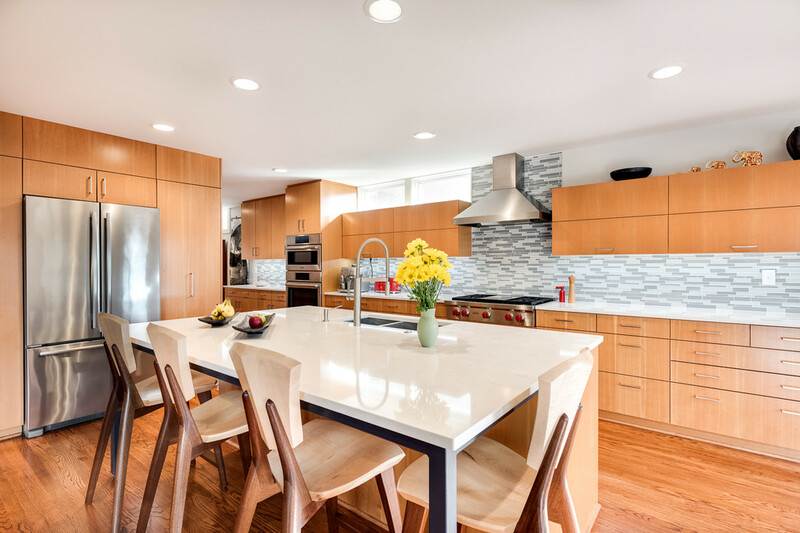 Quartz countertops and a mosaic glass tile backsplash are combined with vertical grain douglas fir cabinets and stainless steel appliances to streamline the look of the interior. 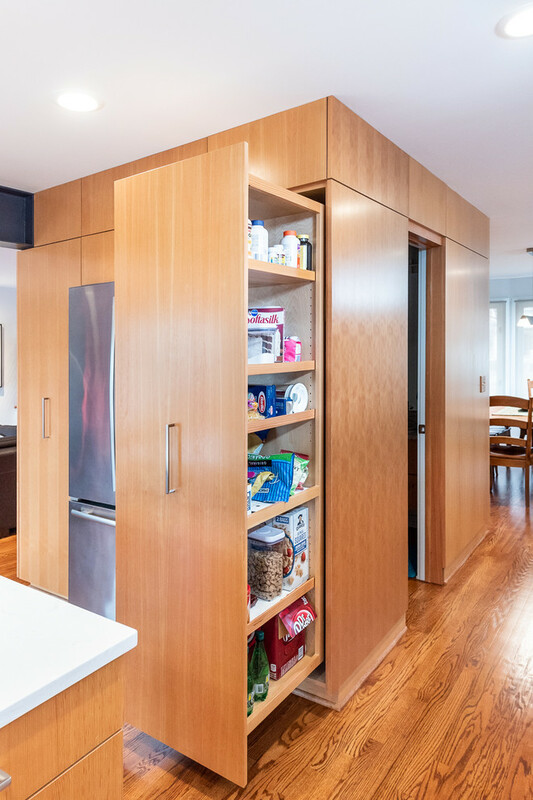 On the upper floors, the bedrooms and bathrooms were also renovated with similar materials and finishes to complete and unify this whole house renovation.